Siccness Network has grown to be one of the largest West Coast Gangsta rap websites on the planet. With 30,000 plus members it has become THE place for underground rappers and their fans to network and grow. Myspace is just another step in our goal to spread our "Siccness" and Infect The Masses! Log on to www.siccness.net become a member and get involved in the latest rap discussion's. We cover the Bay Area, Central Valley, So. Cal, Mid West, North West, Southern and generally anything related to RAP. We Have Released Over 30 Titles To Date Some With Artist Such As Yukmouth, Loon, Layzie Bone, Turf Talk, The Team, C Bo, Killa Tay, Keak Da Sneak, Mitchy Slick, Suga Free, Messy Marv And Many More To Date! We Not Only Serve As A Website But Also Serve As One Of The Leading Distribution Companies In Southern California. Currently Having A Business Deal With KOCH ENT. We Have Expanded Our Siccness To The Masses! C-Bo, born Shawn "Cowboy" Thomas on 1971 in the Garden Blocc area of Sacramento, CA, has sold over 2 million albums independently since 1993. He has worked with many successful rap artists such as Tupac (2pac) Shakur, E-40, Yukmouth, Spice 1, Dru Down, Kokane, Jayo Felony, JT the Bigga Figga, Mac Mall, Mob Figaz and Brotha Lynch Hung. He appeared on several tracks on All Eyez On Me, 2pac's multi-platinum album released shortly before Shakur's death. Around this time, C-Bo was rumoured to signing with Death Row Records, but nothing ever materialised. His 1994 debut album was entitled Gas Chamber, which was followed by The Autopsy in the same year. In 1995 both Tales from the Crypt and Best of C-Bo were released. C-Bo's fifth album, released in 1997, was entitled One Life 2 Live. 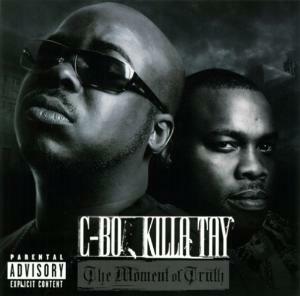 C-Bo released his sixth album, called Till My Casket Drops, in early 1998. It featured E-40, Spice 1, Mac Mall, JT the Bigga Figga, Outlawz, Big Syke, Marvaless, Killa Tay, Lunasicc, 151, Mob Figaz and Pizzo. Its first single, "Money by the Ton", and the song "Deadly Game" -- which included the line "So when they try to pull you over, shoot 'em in the face, y'all" -- raised the ire of C-Bo's parole officers, who concluded the new album violated the terms of his parole (see Gang History). Subsequently, C-Bo was arrested for parole violation and faced one year in prison. C-Bo released his seventh album, The Final Chapter in 1999 on the A.W.O.L. record label. Shortly after, though, C-Bo created his own record label, West Coast Mafia (W.C.M.). C-Bo's next album, titled Mob Figaz (album), was released in 1999 with his eponymously-titled group. This album featured the group for the first time, in addition to appearances from rap icons Yukmouth and Spice 1. C-Bo's eighth album, 2000's Enemy of the State, was a breakthrough album, combining melodic West Coast beats with hard yet clever rap and a vast guest list of artists. In 2001, A.W.O.L. records released C-Bo's Best Appearances, a compilation album including music from 1991 through 1999. Also in 2001, C-Bo and Brotha Lynch released an album called Blocc Movement. The songs were patched together from the artists' separate material, as C-Bo was jailed during the making of the album. 2002 saw the release of Life As A Rider, featuring CJ Mac, Dresta, Young Meek, Killa Tay, Outlawz, Tray Dee, Yukmouth and others. Later in 2002 C-Bo released West Coast Mafia (album), which featured Yukmouth, E-40, Brotha Lynch, Killa Tay, CJ Mac and others. 2003 was a busy year as C-Bo released Sequentially Chopped N Screwed and, shortly thereafter, West Side Ryders and The Mobfather, followed up in 2004 by the unofficial album C-Bo's Lost Sessions and C-Bo has helped his younger brother Young Meek with his 2006 debut album South Areas Most.